JERUSALEM, Israel (BulgarianMilitary.com) – In recent weeks, the topic of chemical attacks on Syrian rebels has been on the agenda again. Sources (unverified) claim that there are even real reports of a new chemical attack. It’s not the first time that all signs show that Syria has not complied with its obligation to destroy its chemical weapons arsenal. When the world, especially the U.S celebrated the false victory of “Syria clean of chemical weapons”, Israel did not join the festivities. In all recent attacks, the U.S and other countries released condemnations but nothing real has been done. Israel never relied on the UN to verify that the Syrian regime has fully complied with the resolution to get all chemical weapons out of Syria. The only acceptable proof could be achieved by Israeli – made sensors adapted to gather this information. This is mainly an aerial operation. Almost three years ago the celebrations began, in spite of the fact that Israel continued to claim that president Assad fooled the U.N, the U.S and other naive bodies, and still holds huge quantities of these deadly chemicals. The Israeli air force (IAF) has been on high alert to meet any attempt to use these weapons in the “context” of the civil war in Syria. Israel has been closely watching the civil war in Syria since its onset, worrying that it could “spill” across the border. It could be said that Israel has had an eye on every move made by the two sides in the civil war. 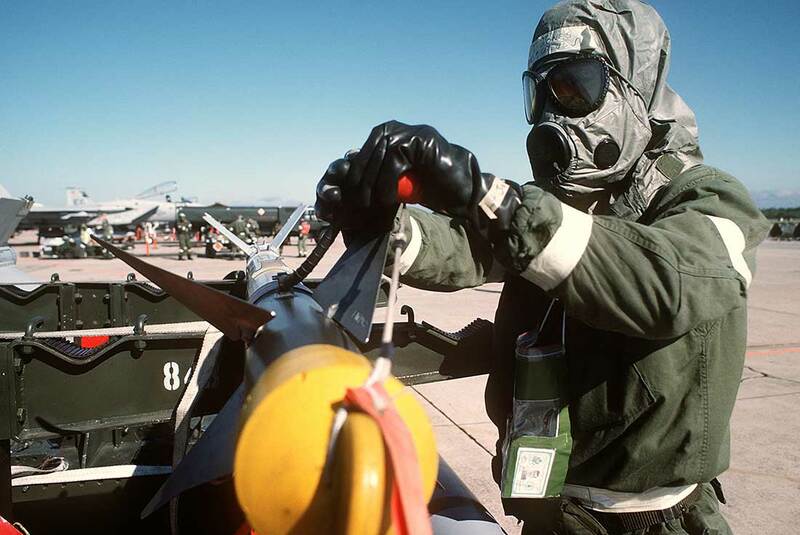 All the sensors – based mainly in the air and in orbit – have been focused on known sites where Sarin gas and other deadly chemical weapons are being kept. Israeli sources say that the chemical weapons arsenal of Syria, may have shrinked but Damascus still has the capability to launch attacks based on chemical weapons. This minute-by-minute process is aimed at avoiding a situation where the deadly substances only changed location, so that the world is satisfied while the danger stays imminent. And in all the recent attacks, what has been known to the Israeli intelligence mainly through all the aerial sensors, was smacked in the face of those that celebrated the false event of “Syria clean of chemical weapons”. When a country has a variety of sensors it can easily confirm what is reality and what is false. That exactly what happened in this case. When the world showed the false achievement of Syria clean of chemical weapons, the IAF has been keeping a super high alert in its northern bases. This to foil any attempt of Syria to use the chaos created by the ongoing civil war, to try and perform an attack on Israeli targets using chemical weapons. In most cases when these were used by Syria, the regime claimed that it was the rebels that put their hands on quantities of the deadly agents and used them. The opinions and statements expressed in this text as a result of the journalistic analyzes of the author and his opinion on the topic. This text represents a different point of view and does not involve anyone with the author’s opinion.